Starts Fri., May 6. Harris. 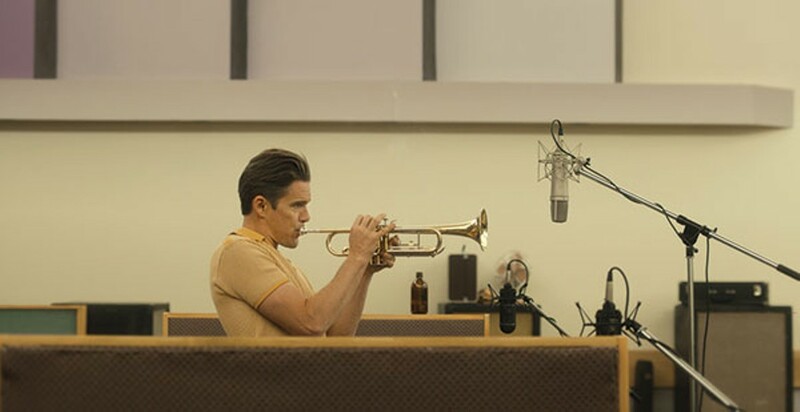 Hot on the heels of another sort-of bio-pic about a wrecked jazz legend finding his mojo (Don Cheadle’s Miles Ahead, about Miles Davis) comes Robert Budreau’s take on Chet Baker. The drama is set in the early 1960s, when Baker (Ethan Hawke) washes up in Los Angeles and, with the help of a new girlfriend (Carmen Ejogo), tries to rebuild his career. A street fight has left him with false teeth — real trouble for a trumpeter — and his efforts to stay off drugs are fraught. It’s more of a character study than a music pic, and Hawke does a good job showing the often unpleasant and continually self-destructive musician’s insecurities. Budreau expands on the contemporary scenes with critical scenes from Baker’s past, often illustrated with outtakes from a never-completed biographical film (fictional) about Baker. Like the Miles Ahead film, Born doesn’t aim for documentary veracity so much as a “feels right” life chapter that illustrates the whole.